My answers changed the most with questions that had to do with how I spent my time or what my leisure activities were. Those things have definitely had to shift a bit after having kids. I also realized that I became both more practical and more goal oriented in my answers instead of just wistful and dreamy. These small, one answer/line per day journals suit my busy life really well. So a lot has changed in my life in the last five years. Five years ago I was working on my history undergrad, employed as an archivist at the university, married with no kids. My answers reflect a life that didn’t face many restraints. My husband and I spent our time however we wanted, we were less stressed, and our focus was very much on our careers. These days, I’ve just finished my Master’s degree. I’m a stay at home mom who can’t find the time to shower. I wonder every day if my career will die before I have a chance to get back to it. My time is spent on a lot of kid related activities and I have a lot less time to do things I enjoy doing personally. It’s been really interesting to look back through my answers in the Q&A Journal and think back to why I answered the way I did. Paired with my One Line A Day Journal, these two quick daily memory keepers give a pretty fun glimpse into my life. I’ve got some fun new journals that I’ve been working on too. 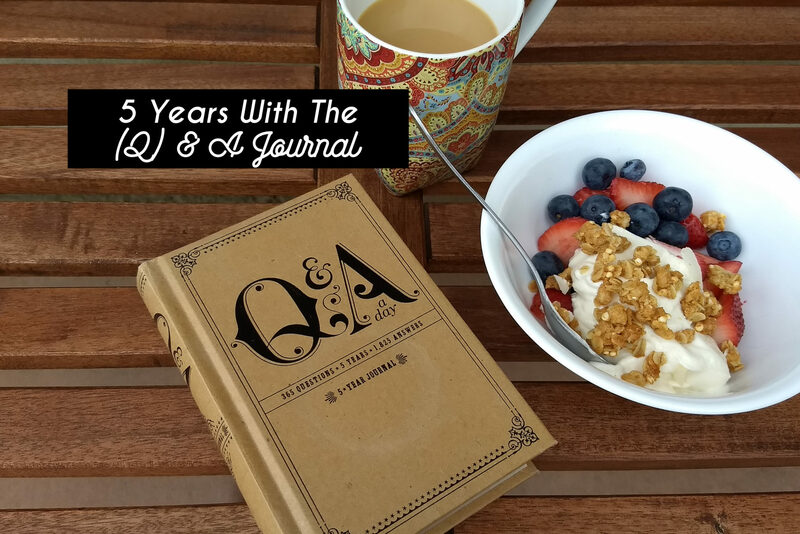 Would you try a five year journal? Wow. Pretty impressive to write in a journal every day for five years. Is it a tedious process at all? It actually wasn’t bad and I didn’t sweat it if I missed a day here and there. I made my own 5 year journal because I wanted more room than the one line journal offered. It’s really fun to go back and see what I wrote. I think I will add this Q&A one in January because it’s a different perspective.